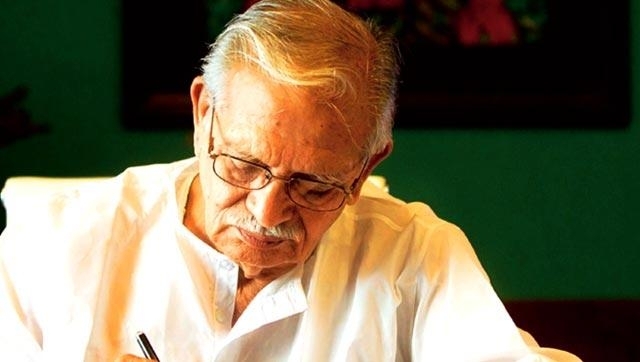 Hindi cinema’s favourite wordsmith, Gulzar, turns a year older on August 18th. Here’s a small tribute that was penned in 2016, fully propelled by uneventful yet significant memories. Gulzar for some uncanny reason linked me to the city of Bombay. As an ardent fanboy, I did know about his Pali Hill residence ‘Boskyana’. Even as I spotted him at a literary festival – where I remember fanboying like never before (and never after) – I could sense a certain Bombay-ness in him. Not particularly in his writing, not in that poised demeanour but in his very sense of being. A composed, all-white-clad man in a stormy, zany city of dreams. During my early days in the city, I found myself seeking solace in a certain Gulzar playlist that listed some of the unlikeliest of songs – including the title track of Filhaal. I must add, for every new migrant, Bombay is an enormous surprise that seldom comes knocking. Between myriad sights of the city’s tempestuous hustle-bustle, you ease yourself to its quiet paradoxes and unperturbed idiosyncrasies. I could barely figure out the weather as I copiously looked for the right A/C temperature and fan speed. Streets seemed busy with maddening crowds. Local tea shops that played ‘Tere Bina Jiya Jaye Na’, ‘Churake Dil Mera’ and ‘Baby Doll Main Sone Di’ in quick succession making us wonder if the glass of cutting chai will digest any soon. I also discovered the famous kaali peeli taxis which, unlike their counterparts in most cities I have lived in, ran by meter. The drivers never bargained and were rarely bitter, despite seeming not very well-off. In one such journey amid sickening traffic towards the fag end of my day, I observed a ‘moving’ sight. A young man who was riding an old Hero Honda Splendor, was singing Gulzar’s ‘Tujhse Naraaz Nahin Zindagi’ in his throaty voice. Call me judgmental, but the youngster didn’t seem particularly scholarly – one who would understand the nuances of Gulzar’s poetry. He was a regular office–goer – as I was. The reason why I termed the song Gulzar’s rather than RD Burman’s is because the man seemed to know every word by heart. He rode parallel to the taxi I travelled in and at every signal, I could hear him alternate stanzas from the female and male versions. He goofed up with the tune but the words were spot on. For a moment I wondered what could be the magic of the song if the youngster in his mid-20s chose to sing it in full throttle (not to forget, this is a sad number). He could have blared out the season’s hit song ‘Gerua‘ (Dilwale) or any second Arijit Singh track. He didn’t. For a course of about 30 minutes in Bombay traffic, the young lad sang just one song and the city being Bombay, nobody seemed to bother other than me. Perhaps the city’s intrinsic madness was yet to settle into my psyche. This could be equated to my days of not paying attention to lyrics in Hindi songs. I was happy tripping over Alka Yagnik’s clear diction and varied intonations in ‘Poocho Zara Poocho’ than pondering over AR Rahman’s vaguely pronounced ‘Dil Se Re…’ I did notice the name Gulzar – short and oh-so-poetic – something that sounded perfect for his vocation. I had felt the same for Indeevar. I also learnt that the man directs as well, upon reading the credits on Hu Tu Tu’s cassette inlay card. Strangely enough, my fascination for him ended at being enamoured by his name. For some reason, I remember paralleling the name to O Henry, without having a face to either of them. Gulzar’s aura and oeuvre has that quality. His books, interviews and even songs evoke recollections of some kind. But he isn’t really some embodiment of an ever-lovable grandpa whose storytelling skills are to die for – that is a vibe I get from someone like Ruskin Bond. Gulzar, for me, is someone who cultivates memories. Not all of them are syrupy sweet. They are akin to thoughts that a Saadat Hasan Manto would have narrated in his days. Raw, incomplete and yet with a story in every minute incident. His is the kind of intense, picturesque memory that we envy to own so that someday we get to narrate mundane, everyday things to another generation – with relentless conviction and impact. Hindi literature was something that I consciously eluded myself from. School texts taught Harivansh Rai Bachchan, Mahashweta Devi, Premchand and the likes, each of whom crafted a different kind of magic. That, perhaps, didn’t provide enough flavour of context for me to pursue it beyond the course books. 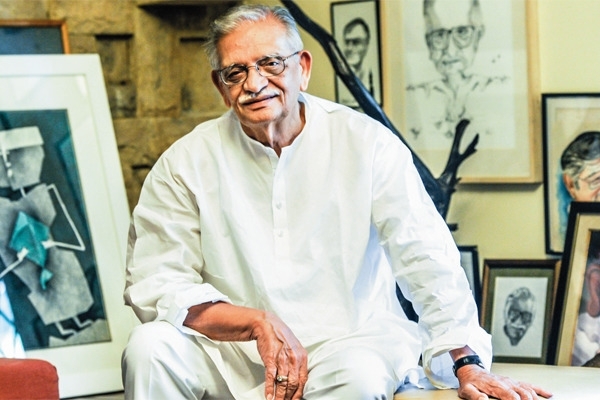 To put in a nutshell, Gulzar came to me via Filmfare – of which I was a voracious reader and propagator – wrapped in two pages of their sweet-scented folds. The magazine carried a column titled, Geeta Gaata Chal, and it had the wordsmith at his anecdotal best. Like paycheques these days, the last few days of every month were spent in waiting for Filmfare to arrive at the nearest book store. As soon as I picked it from the bearded, grumpy shopkeeper, I would rush to the nearby bus bunk or the local church bench to read my favourite column by Gulzar. Something that played out like a breezy nostalgia trip to technicolor era, the man spoke on how Hema Malini could ace singing ‘Ek Hi Khwab’ or how Pancham da didn’t find the word ‘chhabiyan’ poetic enough and quickly ordered for the day’s Times of India so that he would set tunes to the headlines rather. These short, warm write-ups not only lit up my mind on how industry dynamics worked in that era, but also created everlasting memories around the films that were spoken about. Today as I watch Kinara, Kitaab, Parichay, Ijaazat, Meera, I have my set of visuals – of someone else’s memories that play out like a well-edited film. ‘Mera Kuch Saamaan’ was one of the first iconic Gulzar numbers to catch my attention. One with a languid pace and supple rendition (Asha Bhosle), I felt the urge to appreciate the words and its stoic lyricism. My attention always stopped at the phrase that went, “Ek sau solah, chand ki raatein, ek tumhare kaandhe ka til”. With limited immediate sources to discuss Hindi poetry with, I remember seeking the internet for information on the 116 bit. I had doubts whether the number bore a religious significance as ‘16 somvaar ka vrat’. Back in mid-2000s, the Internet wasn’t of much help and finally Gulzar saab himself cleared the air in his Filmfare column. I remember reading with sheer disbelief when he proclaimed that 116 was JUST A NUMBER. I almost drafted a letter to Dakiya Daak Laaya – the feedback section in his column – expressing grievance over this anti-climax. It was only in future that I unearthed Gulzar and his stark universe of abstract imagery that challenged the way Hindi film songs were designed. They didn’t boast of Shahryar’s polish or Anand Bakshi’s commercial viability. Songs like ‘Hamne dekhi hain in aankhon ki mehekti khushboo’ bear testimony to the fact that mainstream Hindi film songs always had it in them to experiment and still win laurels. We rarely witnessed a Gulzar number going the mundane Dil Deewana route. Forming a hummable rhyme or alliteration was never an agenda with him. Even when some of the most clichéd, overused words showed up in his lyrics, the man knew where and how to knit them together. Discovering Gulzar’s cinema – like many non-native speakers of Hindi – happened to me in reverse order. Beginning with his last two films Hu Tu Tu and Maachis, I opted for films purely on instinct or on testimonials from credible sources. Today, having watched most of his films (except probably the controversial Libaas), I get his directorial language. 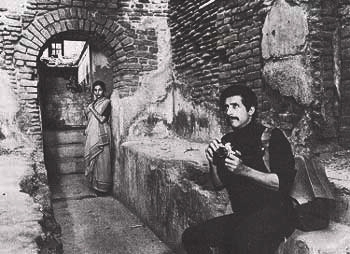 In contemporary cinema, I miss the silences, the pauses and balanced emphasis and non-emphasis on dialogues, the studied production design, warm subtexts and contextual shock value – all of which were predominant in a Gulzar-esque universe. A favourite Gulzar film would be a hard call on this date. It is the girl-bonding in Namkeen on certain days, Kinara’s anguish on others. Koshish’s silences linger on at times while Angoor’s rib-tickling humour makes for umpteen rewatches. Ijaazat’s poignance creates a lump in my throat, as does Mausam’s impudence. Although I wish Gulzar had continued to make films, I will contradict myself by saying that the thespian rested his megaphone at the right time. Who will buy lyricism and mystique on the silver screen today? Mediocrity and lack of creativity are two things that the mainstream viewers of today appreciate and, hence, richly deserve. Even as a writer, how many filmmakers will be able to do justice to the material he weaves on paper? Vishal Bhardwaj is the only name I can think of and that doesn’t say much. Previous Post“Toilet – Ek Prem Katha” does no social service other than putting you to sleep! Next Post“Bareilly Ki Barfi” – A charming tribute to small-town badasses!